Stainless steel mesh gutter guards, by Champion, have been thoroughly tested in the field for over ten years and the technology has emerged as one of the most effective ways to keep your gutters completely free of debris and free flowing without water ever overshooting your gutters. 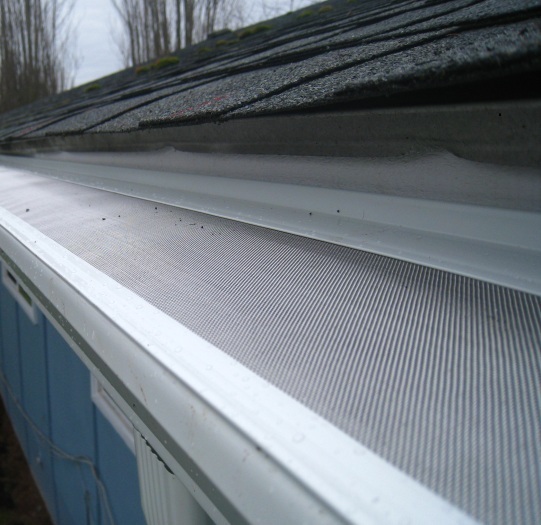 A Champion Gutter Guard is a highly durable, intelligently designed product made from surgical stainless steel mesh and a one piece aluminum frame that permanently attaches to new or existing gutters without interfacing with your roof in any way. This avoids potential roof damage and avoids any possibility of voiding your roofs warranty. It is guaranteed to provide a lifetime of dependable performance and eliminate the need to ever clean your gutters again as well as permanently protecting your home from costly water damage. Remember, the majority of water damage to any home is caused by clogged gutters that overflow due to the accumulation of both large and small debris in the gutter system.